With a list of clients that includes Ralph Lauren, Urban Outfitters and Harper Collins Publishers, Montreal-based Irene Suchocki has made a name for herself as an evocative photographer. 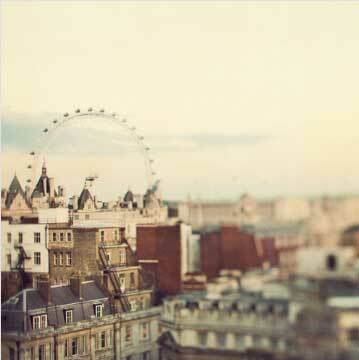 Her beautiful, dream-like images of locales such as Paris, London and New York have a nostalgic, soft-coloured treatment that induce feelings of wanderlust… it’s no wonder she is the top-selling photographer on Etsy. 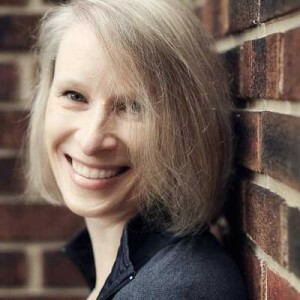 Irene’s work has been featured on television on Extreme Makeover: Home Edition, The Nate Berkus Show, and Steven and Chris. It has appeared on film sets, in gallery shows, and is in thousands of private collections worldwide. A selection of her photographs can be purchased at Impact Galerie in Old Montreal, and a full selection is available from her Eye Poetry online shop. It was very difficult to choose only a few images for this post, so be sure to visit Irene’s shop or her main web site and see more of her beautiful photographs. As a fan of her work, I am delighted that Irene agreed to an interview for Pennello Lane, and am also excited to host a giveaway for one of her prints! The details are at the end of the post, but first… read on to learn more about this talented photographer. It was a particular photograph I took after I bought my first film camera. I was photographing a flower in the garden. I was really just fiddling around with the camera in order to learn what the various knobs, buttons and settings did. When I got the film back from the lab, I was overjoyed with the result. I was shooting with black and white film and the areas that had been in shade were almost completely black and the flower was lit perfectly to stand out against this simple background. That was the first time I experienced for myself the creative possibilities of photography and it gave me such a rush that I was hooked. What new technology over the past 15 years has made the biggest difference for you? The move to digital has made a big difference to me. Although I love the look of film, the immediacy of the digital format has become a big part of my process. Being able to download photographs right after a shoot and edit them with the complete technical and creative control of Photoshop is just amazing. I primarily use a Canon 5D Mark II (a digital SLR) with a variety of Canon lenses. How do you achieve the dream-like quality in your images? A big part of it is the lenses I use. Lenses such as the Lensbaby and Tilt-Shift allow me to choose what is in focus and what is blurred, and that blur around the edges of a photograph is part of the dreamy style I have developed. Other elements that come into play are the choice of subject, composition, the quality of the light, and the colors I use, which are adjusted in Photoshop. You’ve photographed some amazing locations – Paris, London, New York – do you have a favourite place? I fell in love with Paris at an early age. 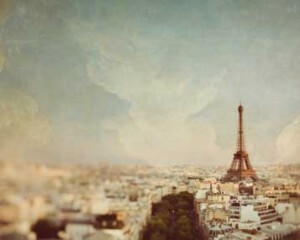 While studying French at elementary school, and later high school, my mind would wander to the Paris in my imagination. I was able to visit the city for the first time in my teens and was so taken by its beauty that I could barely believe that it was real. Upon returning to Paris as a photographer, I tried to capture that feeling of being caught up in an exciting and joyous dream. Comfortable shoes! I often photograph cities, which means walking around for many hours each day with heavy camera equipment. My feet are my foundation and if they are unhappy it is miserable or impossible to keep going. If time travel was possible, and you could take your camera, where and when would you go? Your photos of wild horses in The Camargue, France are gorgeous… what’s the story behind them? I am not an equine or wildlife photographer per se. However, when I saw a series of photographs of these beautiful creatures, something in my brain just clicked and I envisioned my own series almost instantly, complete with a certain style and a colour palette of pale whites, creams, and grays. I booked myself on a photography workshop, since that is the only practical way to photograph these horses. It would be very romantic to say that I just showed up in The Camargue and stumbled upon these horses galloping through the water, but the fact is, it takes a lot of work to make it happen. I was blessed with the right weather conditions, which actually meant pouring rain almost the entire time and a couple of cancelled shoots. However, the weather would let up now and then at just the right time and the light would be soft and beautiful and the colour palette I imagined at home was right there before me. It must have been an amazing experience! Aside from the photography, the experience of being with those horses for a few days was one of the most inspiring and exciting of my life. On our first shoot, our instructor informed us that we would have 25 horses galloping straight at us and that they would swerve away from us only at the last second. I had to muster up the faith that he was right. I’m glad I did. I am so grateful to be in a position where my work is self-directed and I have complete creative control. The vast majority of the time, I choose what I want to shoot and then worry about finding a market or clients after the fact. This means that I am able to choose where I want to go, the subjects I want to shoot, and the stylistic choices I make to express my ideas. Creativity is involved at all of those stages to bring to life a vision in my head. I find that process exciting and very rewarding. Ahhh, that’s a big question. I am still very drawn to a pale and neutral colour palette, so places like the Arctic and Antarctica are calling to me right now. Thank you, Irene, it’s so interesting to learn more about the woman behind the camera! Irene has a special gift for one lucky winner…. enter to win an 8×8” or 8×10” print of your choice! Click here to visit her Eye Poetry shop, then leave a comment below and tell me which of her images is your favourite, if you can possibly choose just one! The contest will close at midnight (Pacific Time) on Saturday, November 17, and one commenter will be chosen randomly. The winner will be notified by email, so remember to check your inbox! The winner will have 12 hours to respond and provide a mailing address. This contest is valid in Canada and the U.S. only, except where prohibited by law. Update: the lucky winner is Beth Palacios. Congratulations! All images courtesy of Irene Suchocki. Thanks for your comment, Deborah! I was inspired by what Irene said about having complete creative control. Glad you enjoyed the interview. Absolutely loved this post. You are right, choosing one was very difficult, but i am going with “This bird has flown”. i will have to revisit Irene`s site again as once was not enough. 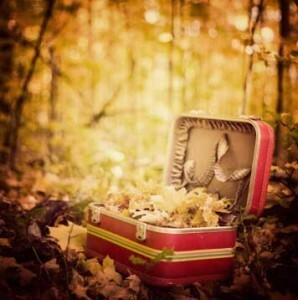 Another one for “This Bird Has Flown”… it’s a beautiful image, isn’t it! my favorite image is paris is a diva, i’m a big fan of irene, she’s fantastic! I’m a fan too… of all the Paris images! It’s so hard to choose just one favourite! I love travel images (“Paris is for lovers” is amazing!) and anything with a vintage feel, like “Penny Farthing for your thoughts”. Irene’s photos really capture a place and a time. But after careful consideration I choose “Le Petit Zinc” as my favourite. I can picture myself sitting at one of the bistro tables enjoying a cup of tea served in a delicate bone china teacup. aaahhh….. Paris cafes! That’s a gorgeous one. What a lovely choice for your daughter. Good luck! I love “Reverie.” So peaceful. Beautiful. I’m loving checking out everyone’s favourites! Somehow I missed that one until now…. love it! Great article Kate – my absolute favorite is the Paris cafes! Thanks Sue! Beautiful, isn’t it…. I love Irene’s work; she’s such an inspiration. I have to admit I’ve never purchased a print because I keep changing my mind! If I’m going with travels, right now I’m drawn to “Paris calling,” but “on a cold winter’s night” is one that I keep coming back to as well. I can relate! I keep thinking I have a favourite, and then I change my mind… usually when somebody mentions one in a comment and I go look at it again and think… oh, I love that one too! I like first we take manhattan! Love NYC and although I live very close dont go there often because it is a major undertaking! I haven’t been to NYC yet, it’s been on my list for years! Love that photo. So hard to choose, but I think “Bestill”. Such a calm, beautiful image. Thanks for entering! Little Britain but there are many nice choices. So hard to choose, isn’t it! Glad to have stopped over from SITS as I love photography and am trying to learn all I can! I love her shot of the owl. Fantastic! Isn’t Irene’s work inspiring? Thanks for visiting! I had a great time looking through the images! Nearly impossible to narrow it down to just one, but I like the “You May Say That I’m a Dreamer” image. Anna recently posted..Why Can’t I Find a Work at Home Job? I’m having such fun checking out everyone’s favourites! That’s a beautiful one too. Thanks for stopping by! I don’t know how to pick a favorite. They are all wonderful. 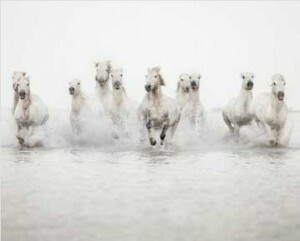 I love The Power of 10, Entourage, Ghost Riders, in fact all the photos of the Camargue horses. But I love to revisit the cities I love, Paris, London and Venice. Oh yes, and San Francisco. I know, I gave a difficult task! I had a hard time choosing my favourite, too! So many beautiful and evocative images…it is hard to pick out just one. ‘Standing Still’ caught my eye on the home page and I am drawn to it each time I go back to look again. 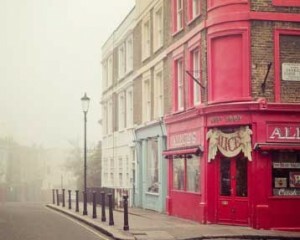 Love the misty look of that one! Thanks for commenting… it’s really interesting how different people have different memories or emotional reactions to different images! Your work is magical,it makes any image come alive.I have a thing for lights so I would have to say my favorite print is Taxicab Confessions.Actually I loved Italy: La Dolce Vita prints too, they are superb.Thanks so much for the giveaway. “Love Along The Seine” is my fave! My parents visited Paris about 6 months before my father passed away and they took a lunch cruise down the Seine while there. My daddy recounted their trip with a sparkle in his baby blue eyes and the biggest smile on his face. It was a special time for them.